One of the first things we did was walk along the old town wall. As you walk along the wall there are 7 gates or towers that you will come across. The wall is kept in amazing condition for its age and you can walk the sentry walk along the Rhine front in its entirety. The towers stand guard over the town and probably the most noted are the city Gate and the Marksturm (Market Tower) and both can be easily accessed from the Altstadt (city center). If you’re looking for a good photo of an old German style structure then don’t miss the Altes Haus. 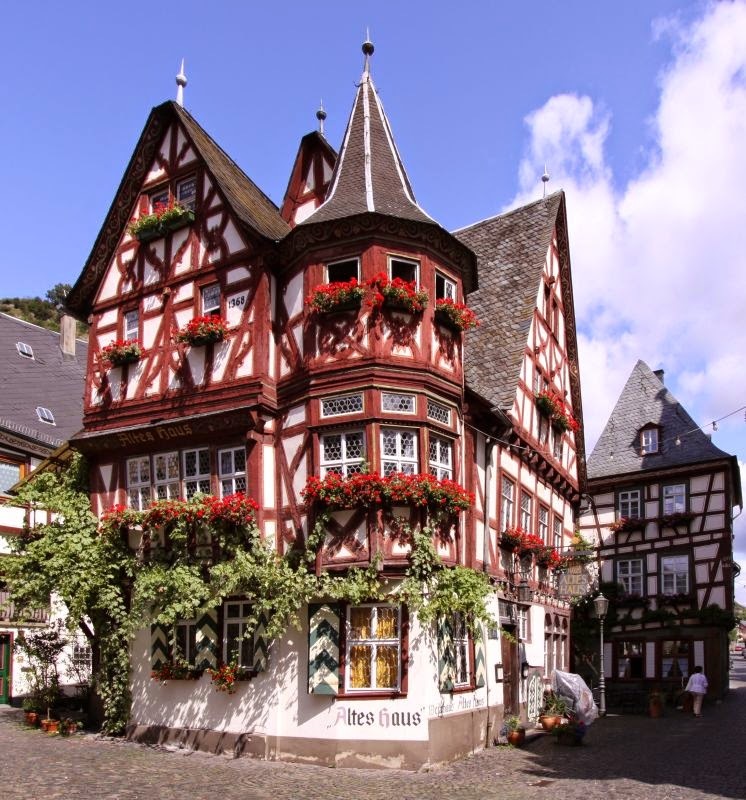 It’s the oldest house in Bacharach build back around 1368. It’s now a guest house and restaurant. Overlooking the town are some beautiful vineyards built on steep inclines. 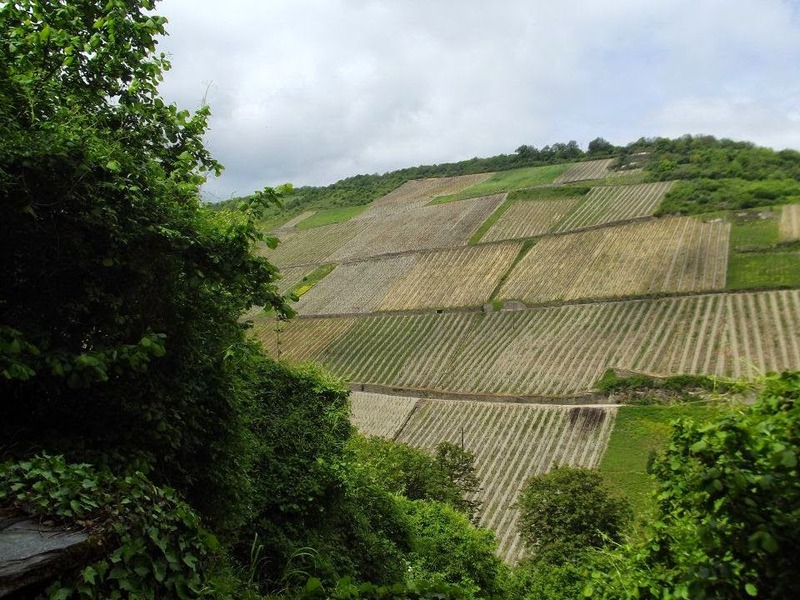 You might see hikers walking up these inclines through the vines heading to the Burg Stahleck and even continuing past there. 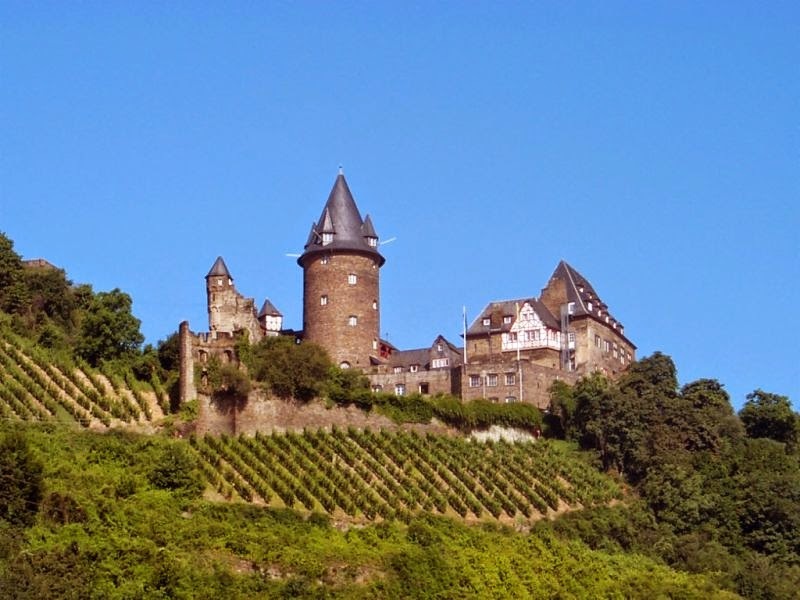 The Burg Stahleck is a castle on the hill that now serves as a youth hostel. If you’re in shape and you want to see some great scenery take the time to make this trek. Be prepared for about 15 minutes of steep uphill climbing. After you make it there you can relax with drinks and light snacks from the Burgterrasse while sitting in their outdoor tables enjoying some great views. Another place to take a leisurely walk is just outside of town along the Rhine if you’re not into hill climbing. Walk along the path and take time to use one of the many park benches to relax. are available to many stops alone the Rhine. 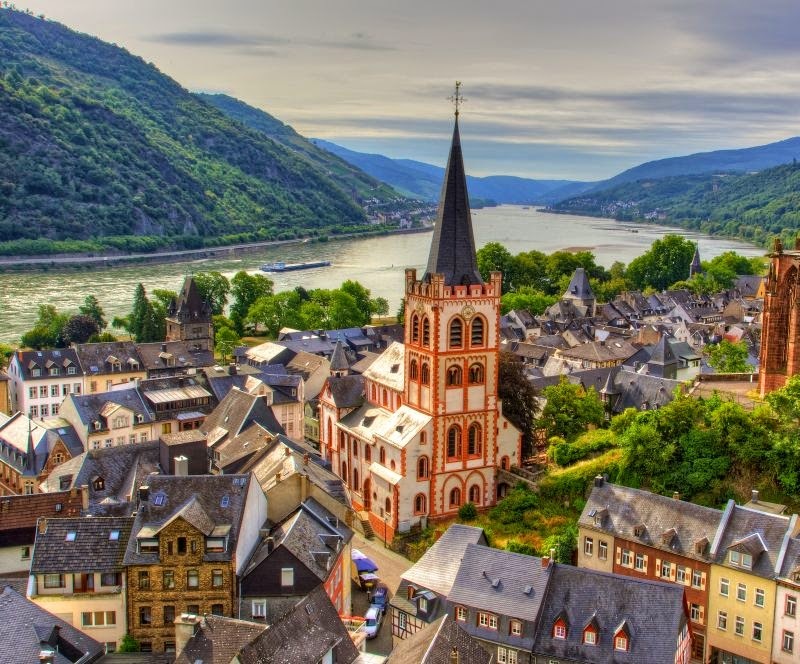 When you get to the end take a train back to Bacharach. 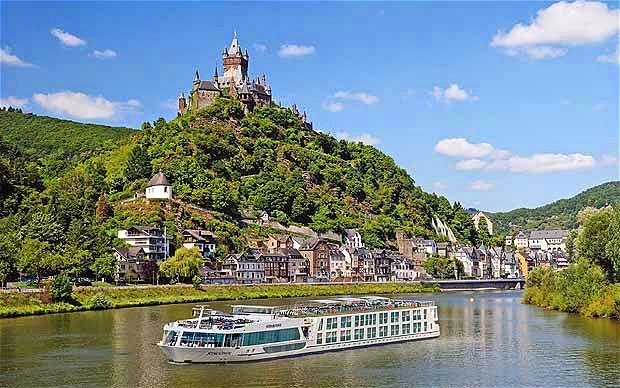 Rudesheim , Bingen, Assmannshausen, Trechtingshausen, Lorch, Bacharach, Kaub, Oberwesel, St. Goarshausen, St. Goar.